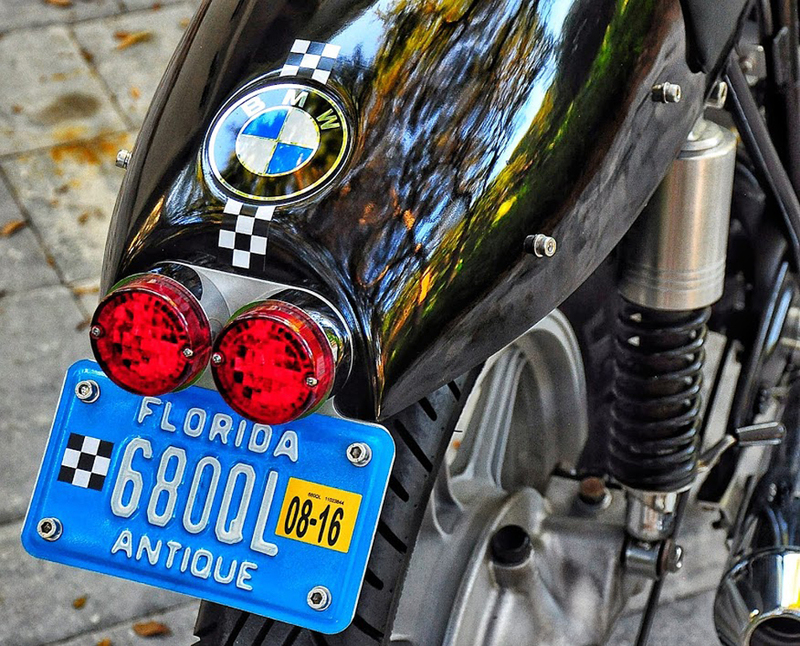 A couple of days ago my friend Luis Etchenique from Florida sent me these amazing pictures of his BMW. If you guys want to know what is a serious work, please take a look and dream. The whole thing started long ago, back in Madrid during the mid-70's. 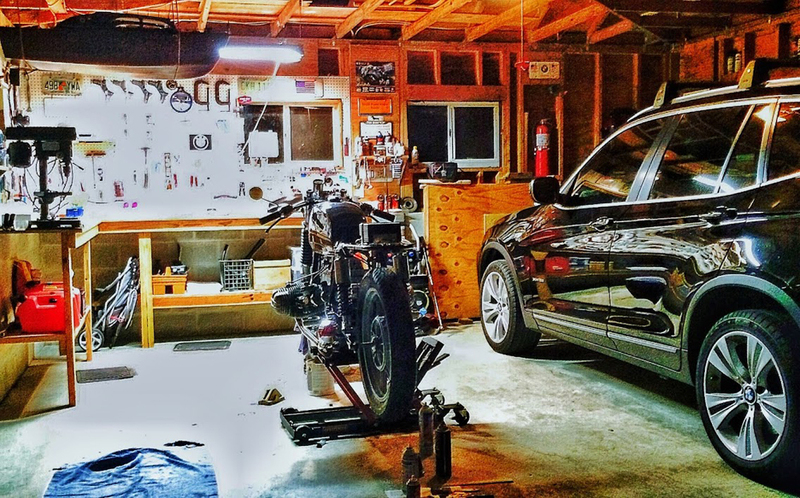 Luis purchased a similar bike at a traffic police auction: and the very first thing he did to it was installing a set of clip-on bars and rear sets. 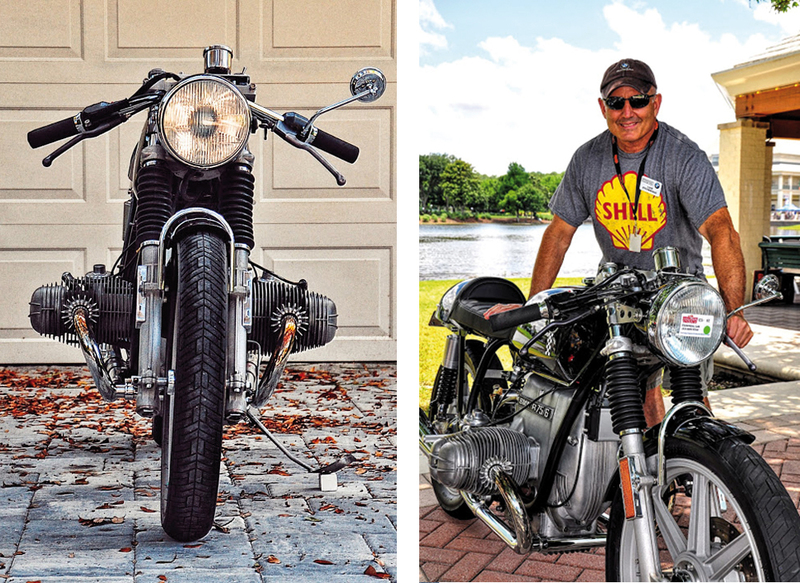 40 years latter, and living in the US, he found a similar bike for sale in Jacksonville, Fla. Not too far from his house. 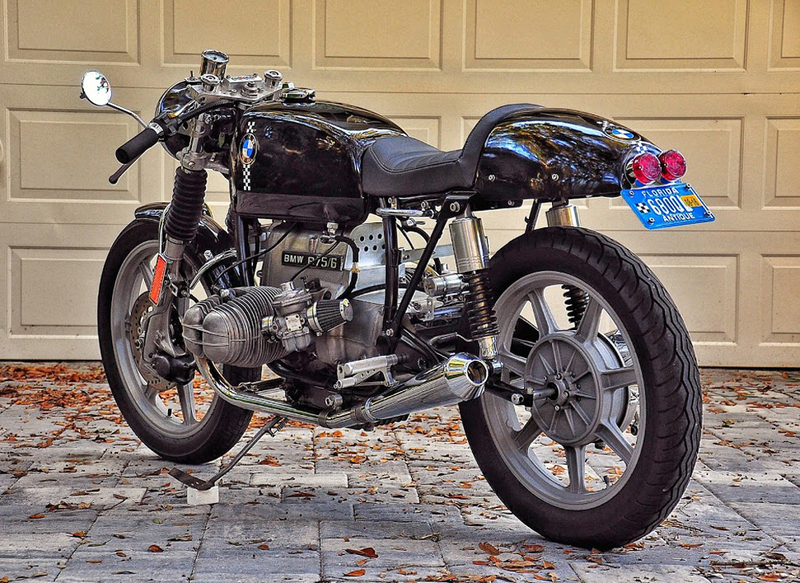 The idea of building a serious Cafe Racer never left him, so this was the opportunity he had been waiting for: the '76 BMW R75/6 with the "for sale" sign on it had found a loving home. The goal was a period-correct machine which would contain just the essentials while underscoring its indisputable "Teutonic industrial" DNA. 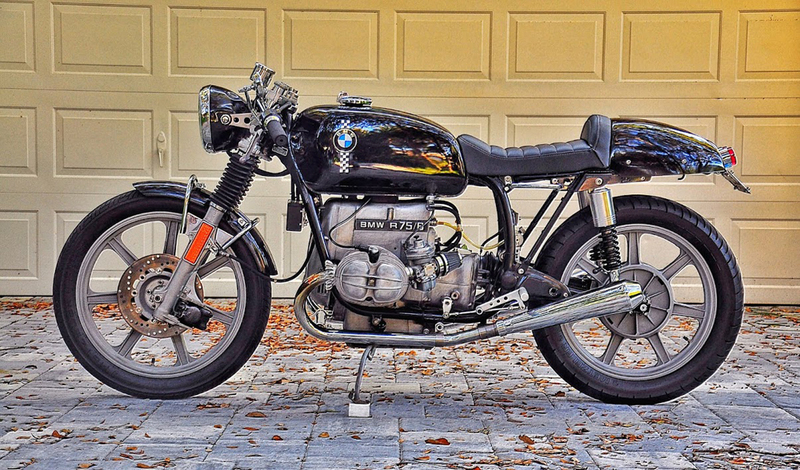 He was after a machine the very Hans Muth would have approved of or even praise, for he wanted to substantiate the bike's identity and individuality while respecting its heritage. 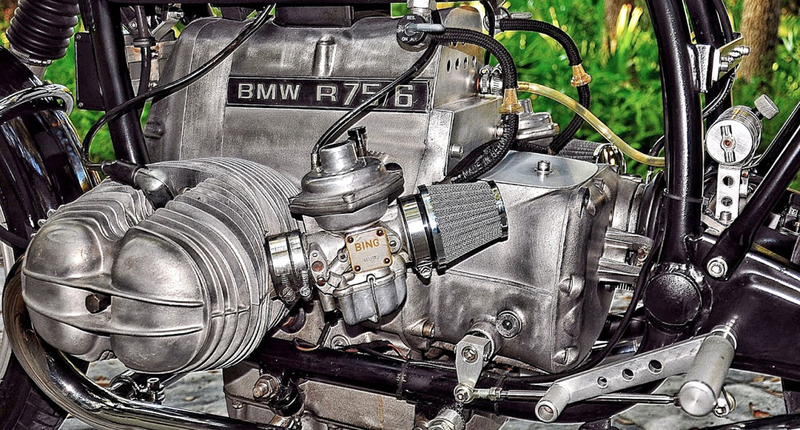 While many vintage BMW "purists" are skeptical of modified /customized/cafe'd BMW machines, most of the experts who've seen the bike have nodded or even acclaimed it. 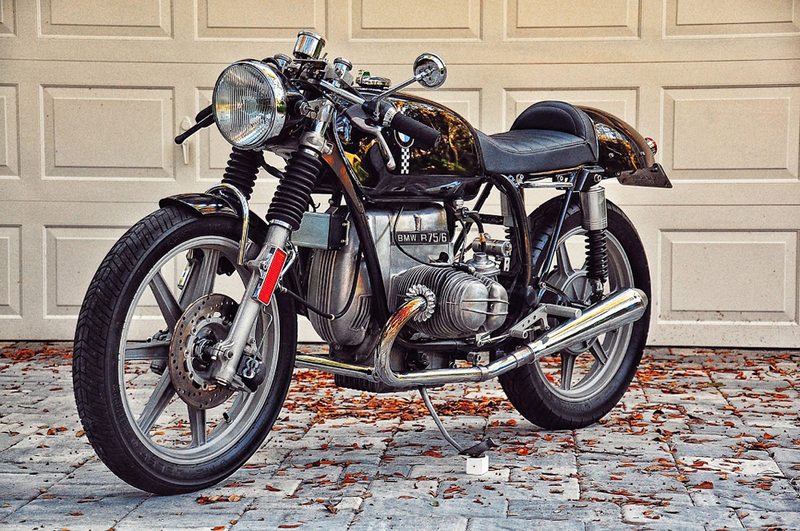 The bike when he first got it was in rather rough shape cosmetically, but ran solid: it had the 900cc kit which the original buyer had had installed by the dealer. It also came with the "San Jose" fork brace, the Lester wheels, and a full-floating disc rotor. All of them very nice features indeed. Luis fully disassembled the bike, refurbished as needed, and put it back together as per his concept: trimmed down front fender; no pinstripes; lowered front suspension; clip ons; stainless headlight brackets; Toaster Tan top triple clamp; tach and pilot lights in place of MotoMeter instrument cluster (he fabricated the small electric junction box which is located just in front of the engine. 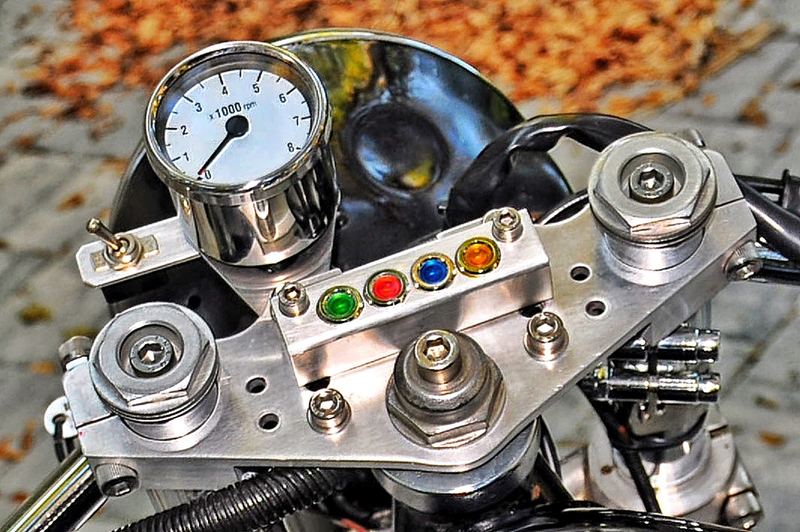 It helps in keeping things clean, accessible, and organized); cafe-correct rear view mirror; individual air filters and choke actuators in place of stock air box; Boxer Metal rearsets; no center stand; battery relocated under BoxerCafe tail section; shorty-style mufflers; and remote crankcase fumes catch can. Luis is pleased with this build, and with the respectable authenticity it evokes: it's exactly what he had set out to achieve.